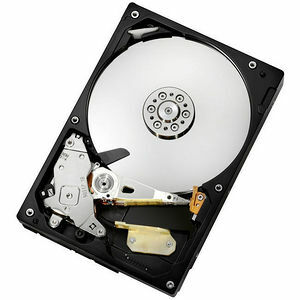 The Deskstar 7K1000.C hard drive is a 7200 RPM 3.5-inch hard drive that provides an exceptional blend of power efficiency and performance, making it an ideal solution for powerfriendly consumer and commercial desktop computers. This third-generation 1TB hard drive from Hitachi boosts media transfer rate performance by as much as 13% over its predecessor. Leveraging eighth-generation power management technology, as well as power-saving HiVERT innovations pioneered on the popular 2.5-inch line of notebook hard drives from Hitachi, this new desktop drive provides up to 18% idle power savings over the previous model, delivering best-in-class power management and thermal emissions.